With summer comes, the team of Hidrate Me has developed a perfect project: check that we have a good water consumption. 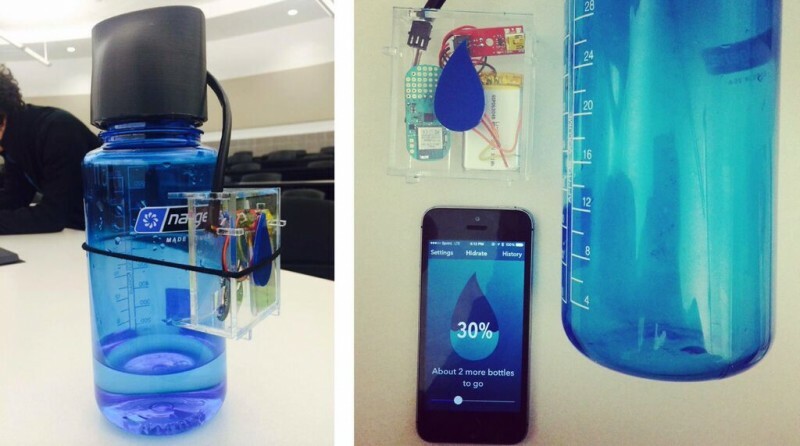 A sensor in a bottle, and voila. Smart. They are four in the team Hidrate me and they built their project from A to Z: from idea to commercialization, through the conception and design, they have used one to help them . It must be said that their team is very complementary, in terms of qualifications: Nadya Nguyen and Alexandra Feeken are graduates of the Carlson School Marketing School, Coleman Iverson out of the University of Minnesota who formed the design and Alexander Hambrock is a mechanical engineer. Everything started Google startup weekend organized in September 2014 in Minneapolis, Minnesota city in the United States. The idea? 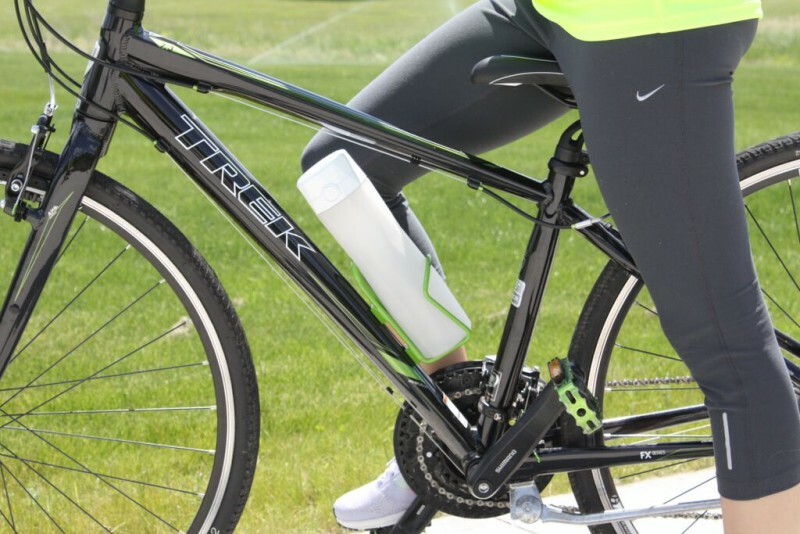 It is simple and effective: verify that each user is drinking enough water. 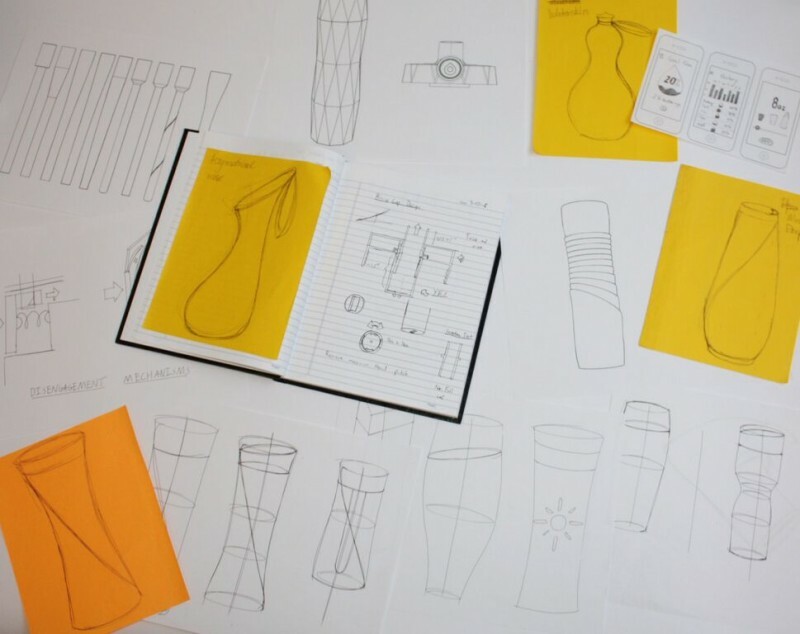 The information comes from a bottle connected and are directly communicated to the application related to the object. The project has been so successful that it won third place in the Google startup weekend. 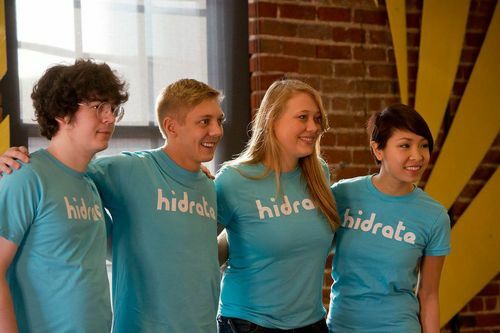 The four members of Hidrate Me are not crazy, they have understood the need to target a market to sell a product that addresses a wide audience. 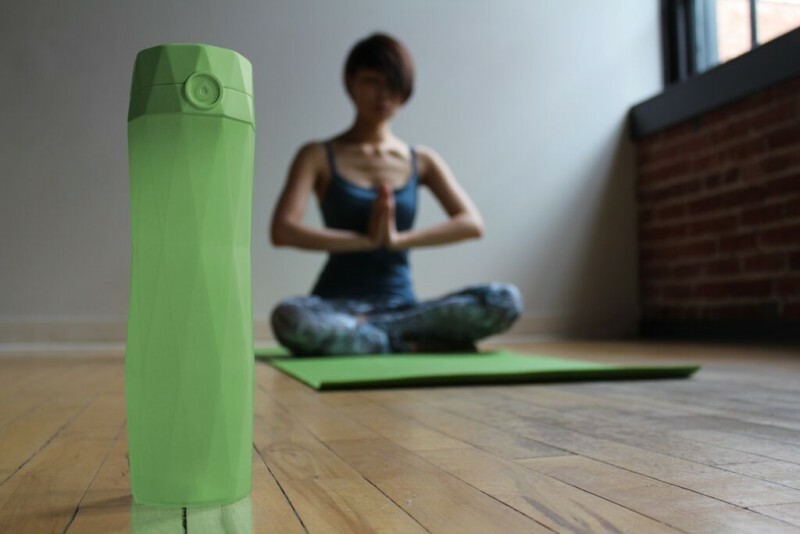 They decided on the lucrative market of fitness and it shows on their website, illustrated by pictures of yoga and sports facilities, but also in the ergonomics of their bottle. The product is déclinable in six colors – from black to white through pink, green, blue and purple – that can even match its sports mats. In addition, the bottle is taken easily connected in hand, which is in motion or not. Obviously, Hidrate Me addresses a much wider market than just fitness: that of health. Small and portable, connected the bottle easily fits in a bag, even a beach bag. The application asks the user to fill its weight and automatically calculates the daily water quota needed. A number also reflected in the number of water bottles. If the user does not drink enough, the application will send a notification to remind him that it’s time to hydrate. The team is very well framed. “After seven months of work, we have been accelerated by mobile Accelerator powered sprint, specializing in the healthcare field and from the TechStars program,” they said. A visibly effective monitoring since in 54 days, young entrepreneurs already proposed a first prototype. Finally, Hidrate Me is just a bottle of water connected. 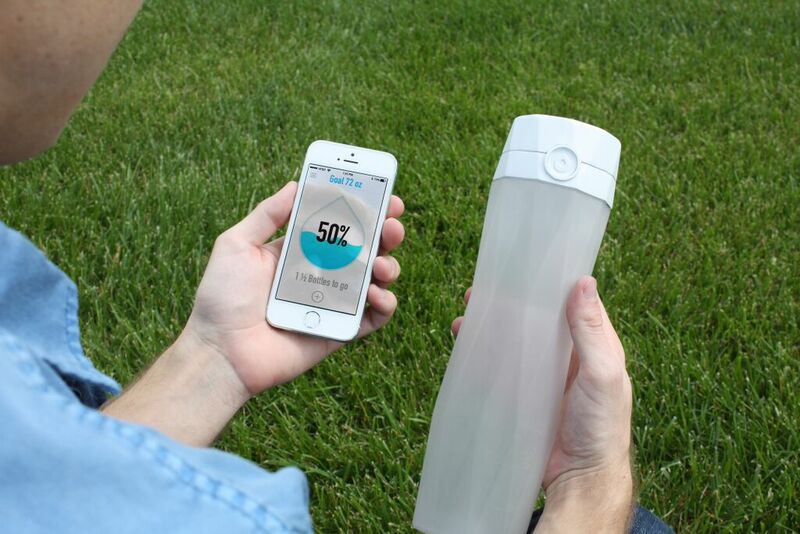 It has a small sensor, which monitors the amount of water drunk by the user. The results are communicated directly to the dedicated Smartphone application. Currently, the team of Hidrate Me is finalizing its product and is preparing to ship its first products in January 2016. It will eventually took them two years to propose a finished product.